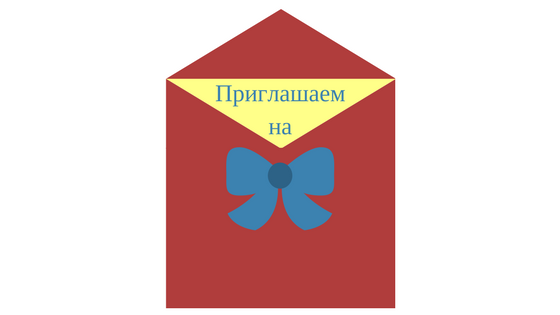 Today, let’s learn to write invitations in Russian. As usual, in this article, you will find more and less formal examples of letters, the list of useful standard phrases, and grammar notes to use them right in the sentences. Let’s compare these letters. In both cases, the author starts with the invitation. 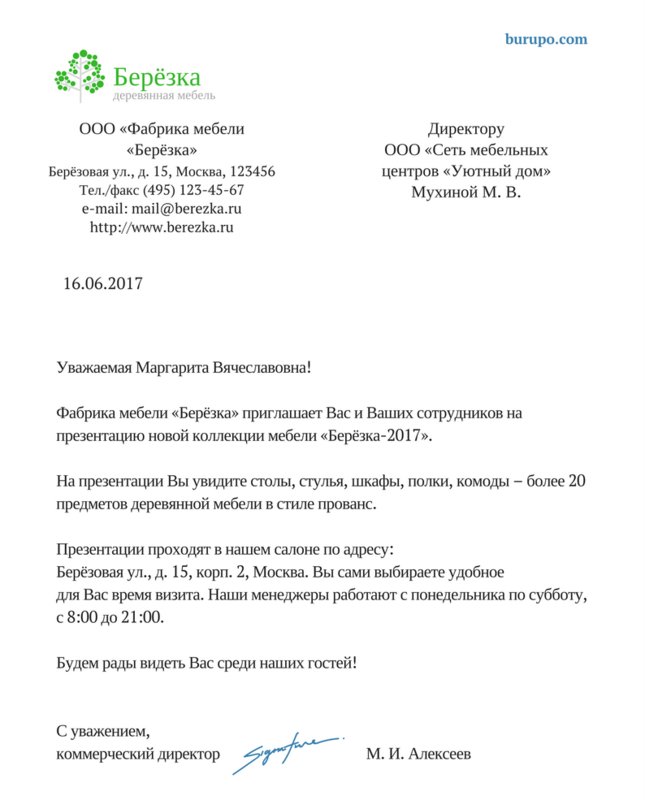 Although, in the first letter, he invites on behalf of the organization itself (‘Фабрика мебели “Берёзка” приглашает…’), and on behalf of all the people, working there, in the second one (‘Приглашаем Вас…’). The first variant is very formal. 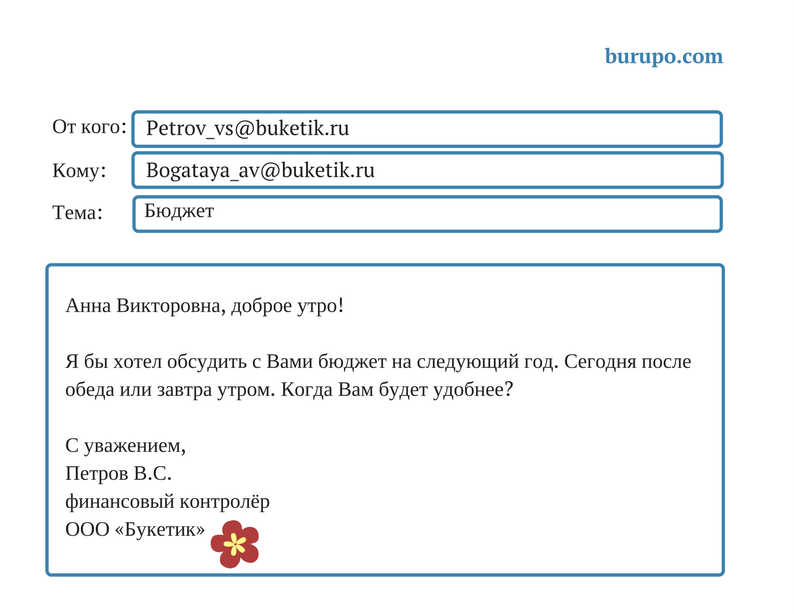 You can also write ‘Компания «Берёзка» рада пригласить Вас…’ here. In a less formal situation, like when you write to your colleague, who you see at work daily, such ceremonies make no sense. There is even no word ‘приглашаю’ in this letter. 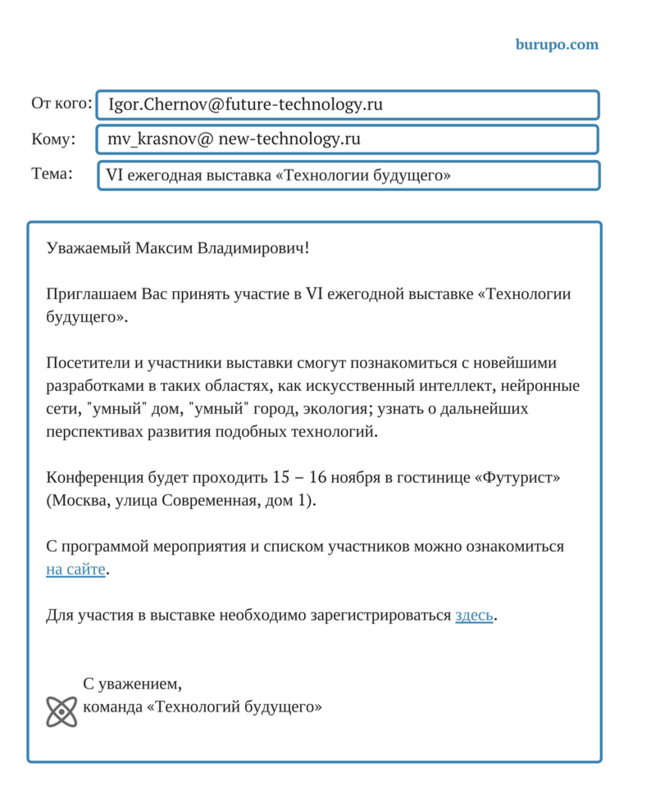 As you can see, this type of invitation we write from ourselves (no impersonal ‘мы’ and ‘компания приглашает’). мы бы хотели / я бы хотел(а) + что сделать? что? состоится / будет проходить + где? + когда? для + чего? необходимо + что сделать? And now improvise some invitation in comments to have practice!